Christopher Robin, now an adult, has long forgot his misadventures with Winnie-the-Pooh, Tigger, Piglet and the other residents of the Hundred-Acre Wood. Upon a chance encounter with Pooh, he begins to fantasize about his childhood and rediscovers the joys of youth. A widowed actress, Lora, befriends a fellow widow, Annie, both with daughters the same age. Lora’s career soars while Annie and her daughter struggle as African Americans in a post-civil rights society. The film was placed on the National Film Registry in 2015 for cultural and historical significance. Join the McSwain Theatre in celebrating the 30th anniversary of Steel Magnolias! In this heralded classic, a close-knit group of women befriend a new-in-town beautician. The ladies share joy, grief, tragedy and an undying friendship. During the 1942 Battle of Midway, the undefeated Japanese Admiral Isoroku Yamamoto faces American Captain Matt Garth. Garth’s valiant leadership and innovative strategies soon turn the tide of war in the Allies’ favor. During the American Civil War, a community of Indiana Quakers struggle as their pacifist ideologies are put to the test when Confederate troops invade their rural village. The film was nominated for six Academy Awards including Best Picture and is recognized by the American Film Institute’s 100 Years of Film Scores. An orphaned baseball fan prays for two wishes: an adoptive family and for the California Angels to win the Pennant. Heavenly angels answer his call to help both dreams turn into a reality. Marty Haggard A Tribute to Merle Haggard, "My Dad"
Join Marty Haggard, the oldest son of the legendary Merle Haggard, as he pays tribute to his dad through stories and songs. Marty calls his dad the greatest singer/songwriter in music history. Marty will share stories of the past, while growing up by his dad's side as he was writing and recording these great country music songs. Marty will also share a few of his original songs. Marty has had his own accomplished career, performing country music for forty years, but his love for his dad's music inspired him to begin a tribute show to his dad, which he began performing in Branson, Missouri in 2010 before taking the show on the road. Step back in time and learn a little more about the life of Merle Haggard by someone who knew him best. Enjoy an evening of REAL country music, Haggard style! As Marty says, "This is not an impersonation of my dad. I'm not him, I'm his son. If I sound like 'em, I can't help it. If I don't sound like 'em, I can't help it. One thing my dad always told me was to just be myself, and I can do that". The McSwain Theatre presents the Queens of Country Tribute Show, a night of entertainment full of iconic Country music spanning more than six decades. Wendy Engler performs as modern icons Dolly Parton and Reba McEntire, while Jilla Webb presents the legendary Patsy Cline. Wendy and Jilla travel the country entertaining thousands of people each year and tour with some of the largest names in the business. Don’t miss your chance to see three bigger-than-life performances on one stage, one night only. Tickets are on sale now and going fast! Travis LeDoyt is known as “the world’s best” at portraying Elvis Presley in his prime in the 50s and 60s. His uncanny resemblance to the “King of Rock and Roll” has audiences gasping when he takes the stage. Once he begins to sing and dance, fans are truly captivated by the authenticity of LeDoyt’s performance. Sold out shows and repeat engagements around the world further attest to LeDoyt’s impeccable ability to capture the very essence of “The King” and leave fans waiting more. Travis is currently touring with a three-piece band based in Nashville, performing songs from 1954 to 1970. 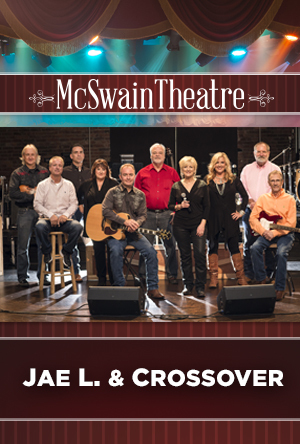 Travis has appeared numerous times at the McSwain, to sold out audiences. The accolades and fan responses continue on LeDoyt’s Facebook Page – see videos, photos and more at www.facebook.com/travisledoyt.